As a Central Florida local, one of my favorite escapes is catching the latest big screen debut at AMC Disney Springs 24 Dine-In Theatres. I absolutely loved both “Black Panther” and “Avengers: Infinity War,” so I can’t wait to see the newest installment in the Marvel Cinematic Universe, Marvel Studios’ “Ant-Man and the Wasp.” The film is in theaters now and Disney Springs is celebrating with an epic photo opportunity inspired by the film. 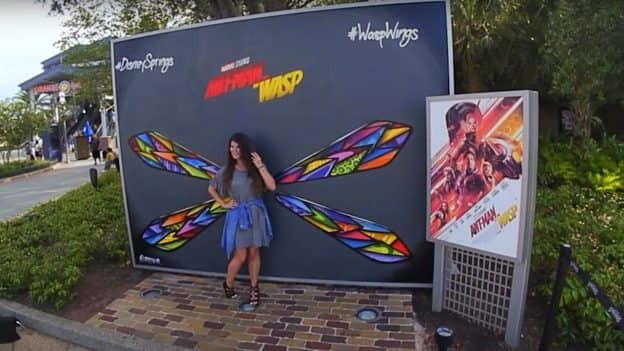 The #WaspWings photo wall located outside of the theatre is a must-stop spot to snap a photo. (Yes, I’ll be posing in front of the wings and sharing the shot on my personal Instagram account, in case you’re wondering!) 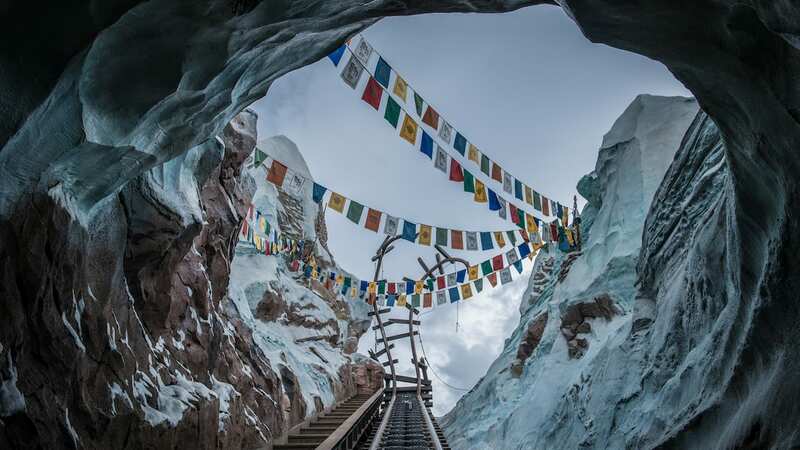 The artwork was hand-created by artist Apexer on a recent visit to Disney Springs. Check out the time lapse video below to watch how this intricate piece came together. If you want even more Ant-Man-inspired fun, visit Jock Lindsey’s Hangar bar where select menu items will be available in shrunken down or giant-sizes for a limited time. Plus, find awesome Ant-Man collectibles at Super Hero Headquarters. Is seeing “Ant-Man and the Wasp” at Disney Springs part of your weekend plan? If so, be sure to snag a #WaspWings photo during your visit!